AESSEAL (Pty) Ltd – Head Office Spartan Branch, is part of the AESSEAL group of companies which is one of the world leaders in the design, manufacture and supply of reliability and environmentally focused products for rotating machinery. This includes mechanical seals, bearing seals and seal support systems. To us, the customer really is king. It is our focus on customer service and quality that has seen us grow year on year since we were established in 1983. The focus of Spartan Branch begins with the mining industry and ends with our last customer for the day. "We aim to deliver a customer experience that surpasses expectation, and truly re-defines what the world expects from their mechanical seal partner." 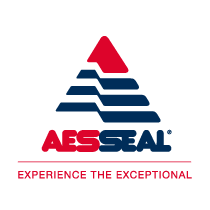 The dynamic team at AESSEAL (Pty) Ltd is responsible for stockholding, assembly and repair of mechanical seals, including provision of after sales service and sales of associated products. The application of Belzona epoxy polymeric corrosion, erosion and abrasion systems for rebuild, repair and protection of all types of industrial equipment. AESSEAL (Pty) Ltd - Head office built my experience since May 1999 when I joined. Currently I’m focused on Business Development with my Internal Sales team. My background is from the pump industry where I built experience at two different pump companies before joining AESSEAL. I joined AESSEAL 15 years ago and I have been responsible for sales and technical support for the O.E.M market in South Africa. I am customer service orientated and believe that we have the best products on the market for your sealing applications. AESSEAL® es una marca registrada de AESSEAL plc. Todas las demás marcas registradas y sus nombres pertenecen a sus respectivos propietarios.